Deaf Havana can today reveal the official video for Sinner. This is the first single taken from Rituals, their forthcoming album which is out on August 3rd via SO recordings. Deaf Havana play London’s O2 Academy Brixton on December 7th. This will be the band’s only UK headline show for the rest of 2018, and will follow their festival exclusive performance on the Radio 1 stage at Reading & Leeds festivals in August, where they are billed second from the top. A recurring theme on the album is one of struggle and redemption. Feeling secure of his place in the world for the first time in his life, James Veck-Gilodi’s (vocals) lyrics cover the themes of disconnect, wrestling with the self and letting go of personal demons. The music is in turn introspective and joyous, with help from the London Contemporary Voices choir, who feature on 5 of the album tracks, including first single Sinner. Deaf Havana performed with the choir at their only other UK show in 2018, when they played an intimate show at London’s Union Chapel for the War Child charity as part of the BRIT awards gigs. 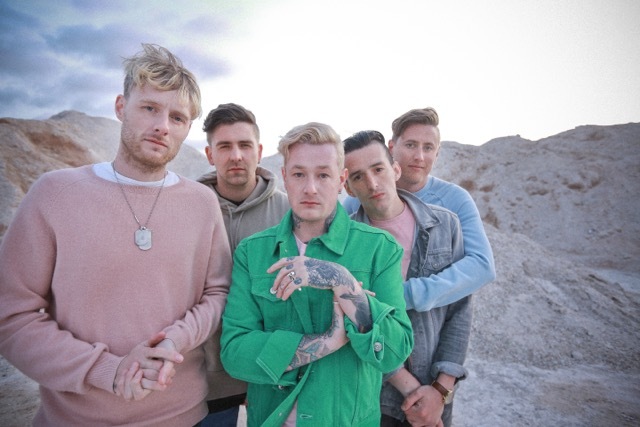 Deaf Havana will be on tour across Europe throughout the summer, with additional festival appearances at Paris’ Rock En Seine, Madrid’s Mad Cool Festival, and Belgium’s Pukkelpop to name but a few. In November the band will play their first Central American show, as part of Mexico City’s Corona Capital Festival.